Therapeutic Massage is a broad definition. Massage is the manipulation of superficial layers of muscle and connective tissue to enhance their function and promote relaxation and well-being. Therapeutic massage is designed to relieve severe tension in the muscle and the connective tissue or fascia. The massage focuses on the muscles located below the top muscles. Deep tissue massage is often recommended for individuals who experience consistent pain, are involved in heavy physical activity, such as athletes, and patients who have sustained physical injury. Massage therapists use a variety of massage techniques to help the client work on a specific problem, whether it’s a sore hamstring, frozen shoulder, or intense stress. Therapeutic massage uses a variety of modalities to achieve the goal, including (but not limited to) Swedish, trigger point, and myofascial techniques. Muscular Therapy a form of therapeutic massage developed by Ben Benjamin, Ph.D., provides relief for pain due to muscle tension and soft tissue injury. Along with deep massage, myofascial release, and other relieving techniques, a Muscular Therapist teaches self-care exercises specific to areas of chronic tension resulting from overuse, injury, or life stress. In addition, Muscular Therapy offers a comprehensive approach to address recurring injuries, using specific treatment techniques and exercises to eliminate unwanted adhesive scar tissue, reduce inflammation, and re-build strong tissues for your return to activity. Orthopedic Massage, incorporates several massage techniques. The goal of orthopedic massage is to treat injuries of soft tissue. Orthopedic massage is also meant to improve the function of soft tissue. The goal of an orthopedic massage therapist is to normalize the soft tissues the body. The problem areas are determined during the initial consultation. Depending on the specific problems of the patient, the ultimate goal may be to treat a condition or to simply improve the overall well-being of the patient. Deep Tissue - This approach creates a greater sense of relief from chronic muscular tension. Muscular tension patterns can reduce blood flow and restrict the removal of metabolic wastes, resulting in the pain and loss of function. The practitioners treatment strategies are designed to break these muscular treatment patterns. Trigger point / Neuromuscular Therapy (NMT) – Trigger points are located in a taut band of muscle fibers. The Trigger point is the most tender point in the band. The therapist will locate and deactivate the trigger points by applying pressure to break the cycles of spasm and pain. Myofascial Release is the soft tissue therapy for the treatment of skeletal muscle immobility and pain. A Technique that involves applying gentle sustained pressure into the Myofascial connective tissue restrictions to eliminate pain and restore motion. 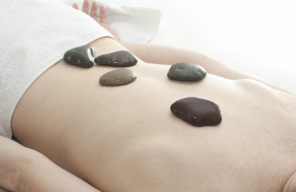 Hot Stone Therapy is a treatment that uses warmed stones to relax muscles and induce a calming state of mind. Typically, the treatment is done in conjunction with traditional massage techniques, such as Swedish massage, and the stones may be used with applied pressure. Massage Cupping – A wonderful ancient technique has found it’s place in the modern world of healing. Massage Cupping is based on the common practice of Chinese cupping therapy. By creating suction and negative pressure, Massage Cupping is used to soften tight muscles and tone attachments, loosen adhesions and lift connective tissue, bring hydration and blood flow to body tissue and drain excess fluids and toxins by opening lymphatic pathways. Pre-and Post Natal (Pregnancy) Massage - A pregnancy massage differs from traditional massage in a few ways. First, the massage therapist will take extra care to make sure your body gets the cushioning and support it needs. When you’re lying on your back, there will be pillows underneath your knees and shoulders. If you’re far along in your pregnancy, you might be positioned in a semi-reclining position, where you’re looking at the wall instead of the ceiling. Pregnancy massage provides relaxation by relieving stress on joints. It eases neck and back pain, helps you to keep good posture and relaxes and provides flexibility to birthing muscles. Reiki - is a Japanese technique for stress reduction and relaxation that also promotes healing. It is administered by "laying on hands" and is based on the idea that an unseen "life force energy" flows through us and is what causes us to be alive. If one's "life force energy" is low, then we are more likely to get sick or feel stress, and if it is high, we are more capable of being happy and healthy. 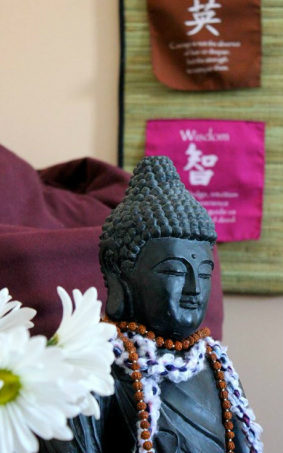 ​Biboting is a treatment that combines cupping, acupuncture, gua sha, moxibustion, and massage all in one. Biboting can make your skin breath in and out to keep your body at balance. Deep Tissue Cupping Therapy is similar to traditional cupping which involves the use of cups applied to individual’s skin surface in order to produce suction. Suction and release process rhythmic pressure infuse negative ions into the skin while purging toxins. Infusing over 3 million negative ions into the skin during therapy.